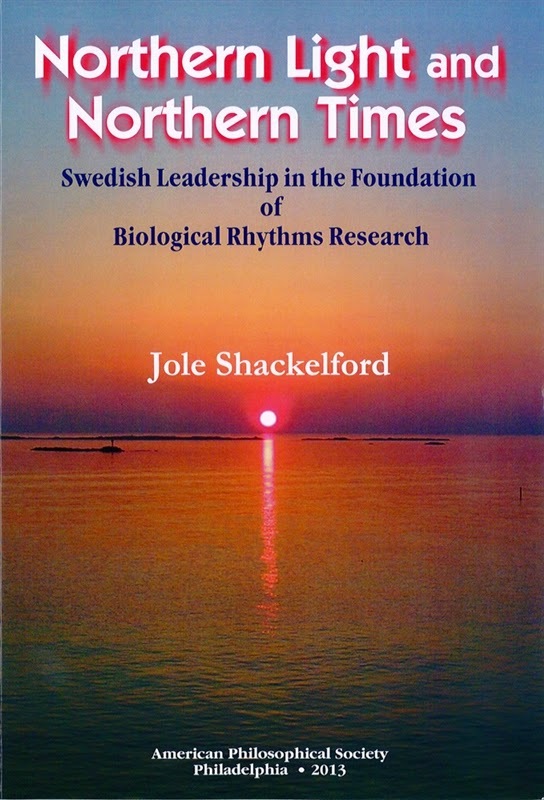 In his aptly titled Northern Light and Northern Times: Swedish Leadership in the Foundation of Biological Rhythms Research (link), Jole Shackelford tackles the complicated and fascinating history of chronobiology. Hitherto a topic only explored in any serious way in a landmark essay by Alberto Cambrosio and Peter Keating, Shackelford’s long essay explores the social, institutional, and intellectual history of biological rhythms research chiefly in the period from 1930 to 1970 and places that history in both a longer history of ideas and a considered view of the torn geopolitical circumstances that dominated the globe in the modern and postmodern epochs. Shackelford in particular pays much attention to the first meeting of the ‘chronobiologists’, which took place at Ronneby Brunn in 1937. From there, his essay explores Swedish neutrality in the turbulent years of the 1940s and 1950s and closes with a discussion about the emergence of a more international society after 1949. That Shackelford’s emphasis is on the Swedish history of science in the modern period in particular adds a further valuable dimension in a historiography too-often dominated by a focus on Germany, France, Britain, Canada, and the United States. The essay is a pleasure to read and also a highly informative and illuminating exposition which could start many a budding historian of biology and neuroscience onto an interesting investigation of metaphor, space and time, and biology. Worthy of the hour it will take you to read this informative history! We keep track of your web site.